If you’re searching for landscaping in Clearwater, look no further than the expert services offered from Evergreen Total Landscape. We have been working on Clearwater landscapes for more than 25 years and have built our reputation as a proactive landscape company that builds lasting relationships with all our customers. From apartment complexes to grocery stores, homes to restaurants and more, no job is too big or too small. Along with these Clearwater landscaping services, we also offer our all-inclusive commercial landscape maintenance. This includes: mowing grass, trimming bushes, plant replacements, annual change outs, and redesigns and re-landscaping, if necessary. We also include fertilization services and pest control from a fully licensed and certified operator. At Evergreen, our main goal is to take all the stresses of landscape maintenance away from the property manager by performing weekly inspections to ensure everything looks great and all equipment is functioning properly. If a problem ever arises, we provide property managers with all the necessary information and address it quickly. 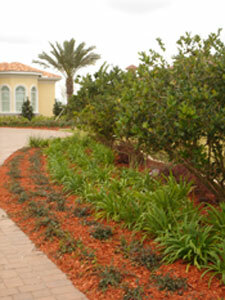 If you would like additional information about our Clearwater landscaping services, please call or e-mail us today. We also offer service to Tampa, St Petersburg, Lakeland, and surrounding cities.